OTTAWA – A former close adviser to Donald Trump says the U.S. president’s negotiating strategy depends on whether he views you as an ally or an adversary, and as far as he can surmise, Canada is considered the former. 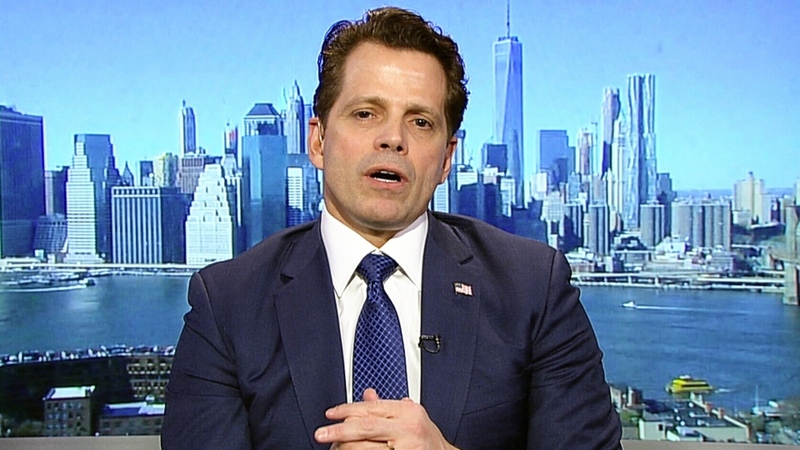 "What the president is really trying to do is embolden our allies and put a very big hurt on our adversaries, and he clearly sees Canada, and your prime minister, as a great ally," former White House communications director Anthony Scaramucci told Evan Solomon in an interview airing Sunday on CTV’s Question Period. The pair discussed the coming meeting between Trump and his North Korean counterpart Kim Jong Un, inter-White House dynamics, and the latest on the trade and tariff file. "He has a negotiating position where he punches you in the face first, and then starts the negotiation, and he’s probably done that for 45 years... So I think he’s applying that tactic now," Scaramucci said of the ongoing tensions between the U.S. and North Korea. In contrast, he said Trump is taking a different approach with Canada when it comes to negotiating. Referencing the ongoing NAFTA negotiations and Trump’s recent proclamation that Canada and Mexico will be exempt from steel and aluminum tariffs for the time being, he said all Trump is after is "some level of symmetry and fairness." Scaramucci said while he can’t speak for the president, he knows him well, and his best guess is that NAFTA won’t get ripped up, rather there will be moderate adjustments in the U.S.’ favour. "I don’t see a situation where we’re in a conflagration with each other. The standing relationship has been too great, and it’s too sacred to both of our great nations, so I predict that this thing will end in a compromise." The short-lived White House aide’s advice for any country negotiating with Trump these days? "After he hits you, really study what he wants to do… The president has never throughout his history been a zero-sum negotiator playing a win-lose situation… He’s looking for the win-win outcome for everybody, so after he hits you once, take a step back and look at where you think things can go, where both sides win, and I bet you that the president will get you there." While he couldn’t speak directly to what Trump thinks of Prime Minister Justin Trudeau, as the two never discussed it during his 11-day tenure, Scaramucci said he “admires” Trudeau. "He sees him as a very strong leader, perhaps somewhat different politically on certain views, but I think he enjoys his personality and he enjoys his charisma and he likes his youth and his energy, there’s no question about that." Tune in on CTV News Channel, CTVNews.ca, and CTV News GO at 11 a.m. ET on Sunday to watch the full interview. Former White House communications director Anthony Scaramucci on CTV's Question Period.